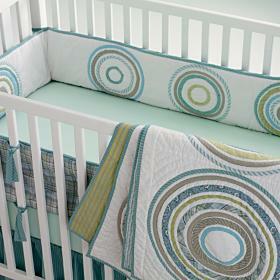 I've been browsing baby things today... we can't do a nursery until later because we live in a one bedroom for now, but I love looking at bedding and stuff like that. From Land of Nod- it comes in pink too but I like this. I like the fabric and colors in these quilts. From Etsy. I really like the idea of hanging paper lanterns. I found these at World Market.